Teletubbies stars iconic characters; Tinky Winky, Dipsy, Laa-Laa and Po. 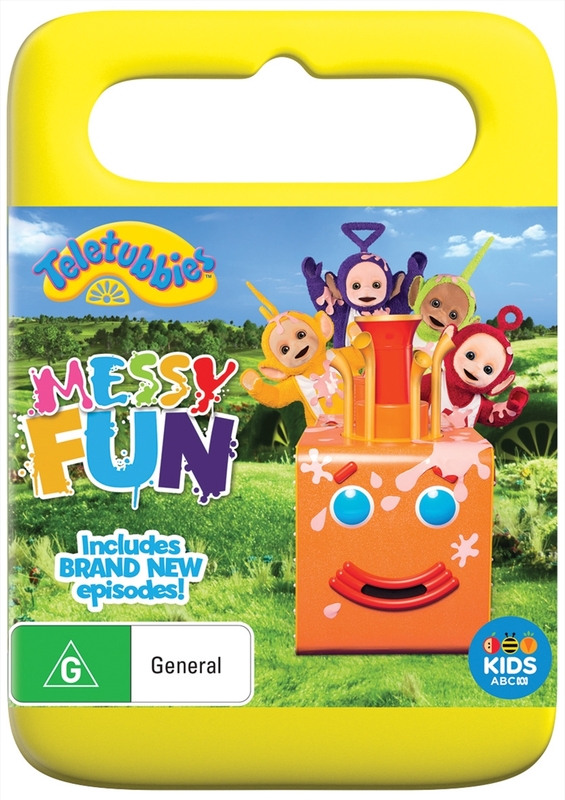 Their world is full of love and laughter as they explore Home Dome and the magical countryside of Teletubbyland through play.Familiar and beloved featu?res from the original series return - The Noo-noo, Tubby Custard, Tubby Toast, Baby Sun, rabbits and the Voice Trumpets - along with some brand new surprises. Look out for the Tubby Phone and the Teletubbies' touch screen tummies which link to preschool children exploring, laughing and learning - just like the Teletubbies!